As a registered independent, I neither supported nor opposed Maria Elvira Salazar’s Republican primary run for Congress from Florida’s 27th District, where I reside. But there’s one thing about Salazar’s landslide victory on Tuesday that I’m unabashedly enthusiastic about. It may have finally driven a stake through the heart of one of South Florida’s most poisonous political practices: accusing your opponent of being soft on communist Cuba. Full disclosure: Salazar and I are friends and colleagues. When she was a journalist, she had me on her television shows; we at WLRN had her on our radio shows. And I admit her sudden jump into politics made me a little uneasy. My concerns for her seemed borne out during the GOP primary campaign. One of the 27th District contenders, Stephen Marks, ran an attack ad against Salazar that featured her 1995 CNN en Español interview with the late Cuban dictator Fidel Castro. Marks’ spot was about as underhanded as they come. He edited the interview video to make it look as though Salazar was fawning over el comandante – and he shamelessly misrepresented what she said to Castro. Salazar, for example, wondered if the man the world considered the romantic revolutionary “por excelencia” in the 1960s had become just another tragic autocrat by the 1990s. But Marks’ ad only gives you the first part of that point, making it sound as though she was lavishing praise on Castro. "Whose side are you on, Maria?” the ad asks. Marks hoped to take us back not just to a 1995 interview but to a 1995 mindset – when Miami McCarthyites branded opponents as Castro-sympathetic communists they way Puritans conducted witch hunts in Salem. Anyone who knows Salazar, the Miami-born daughter of Cuban exiles, knows she ain’t on Castro’s side. But anyone who knows journalism also knows that even when you interview despots, you still have to mix the incisive interrogation with conversational cordiality if you’re going to elicit anything meaningful. Anything that offers better insight into what makes them tick and, more important, where their vulnerabilities lie. Marks hoped to take us back not just to a 1995 interview but to a 1995 mindset – a time when the brutish “¡tú eres comunista!” assault was the surefire way to win elections in Miami. Cuban-American political consultants like Armando Gutierrez – the guy who led the Elián González debacle in 2000 – were tropical Joe McCarthys, branding opponents as Castro-sympathetic “communists” the way Puritans conducted witch hunts in Salem. And Marks knows all about that because, back then, he was a self-described GOP “hitman” who specialized – often successfully – in the kind of amoral political campaign schemes he tried to replicate against Salazar. What’s reassuring is that this time the ¡comunista! gambit bombed bigly – and may have even helped Salazar. Marks was so far behind in the polls he slithered out of the race last week. Salazar won 40 percent of the vote – demolishing her eight primary opponents who, frankly, deserved it because none of them spoke out against Marks’ dirty ad. In that sense it was also heartening – if more than a little ironic – to see Salazar flanked at her victory celebration Tuesday night by retiring 27th District Congresswoman Ileana Ros-Lehtinen and former Miami Congressman Lincoln Diaz-Balart. Back in the day they too were fond of accusing folks, usually unfairly, of being Castro patsies. One only hopes they and the rest of the hardline Cuban exile cohort have renounced that M.O. for good. That matters not just as a rejection of Miami’s political past but as a bond for its future. South Florida is replete with immigrant communities that are beginning to acquire the same demographic size and influence Cuban-Americans built a generation ago. 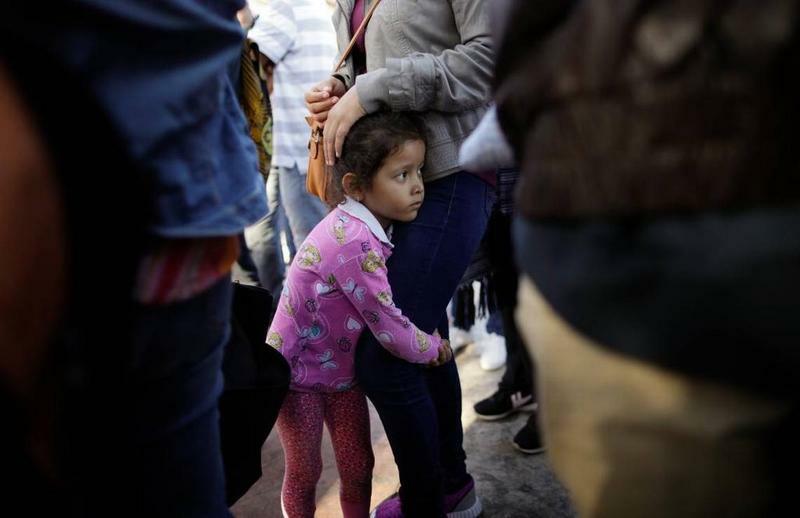 Many have the same grievances about ruthless left-wing regimes or rebels they escaped back home – and many have already shown signs of indulging political witch hunts here. 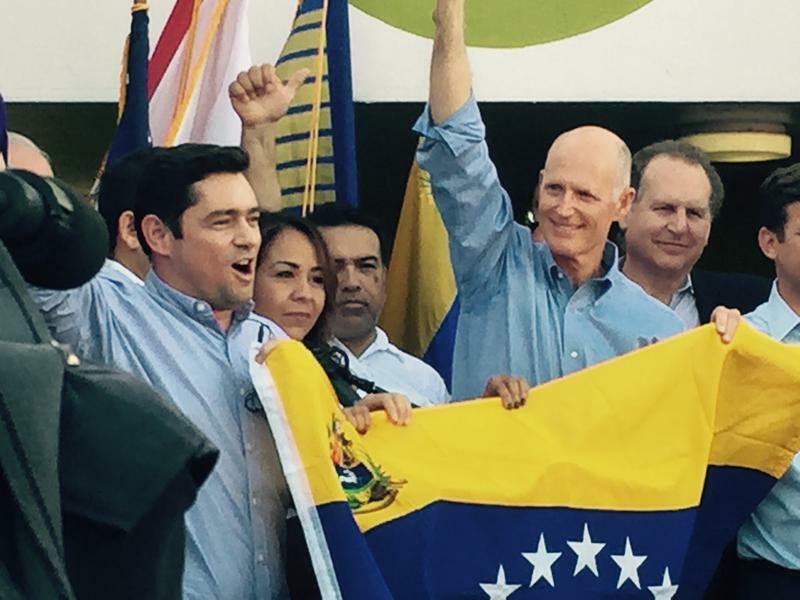 It’s fairly easy for a Venezuelan in Doral to get falsely tarred as an enchufado – a collaborator of the brutal and disastrous socialist regime in Caracas. Go to Kendall and express the slightest support for the peace deal between Colombia and its Marxist guerrillas and you risk being labeled a Friend of the FARC. To reiterate: I am neither friend nor foe of Salazar’s congressional candidacy. But if her primary success proves Miami McCarthyism no longer gets traction, I’ll consider that revolutionary por excelencia. This week a Twitter troll with the typically (and typically cowardly) anonymous handle of @Jesus78773335 came after me online. 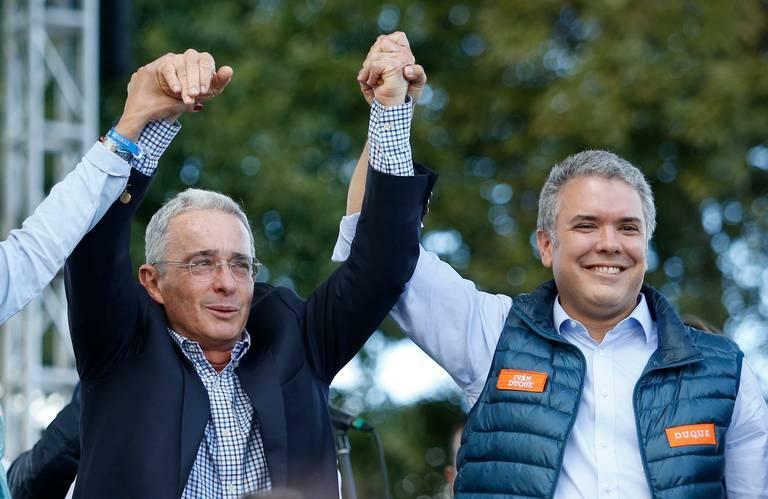 Some thought it stunning last week when former Colombian President Alvaro Uribe announced he was resigning his Senate seat to defend himself in a criminal investigation. But actually it was very fitting.